McKnight, Scot. It Takes a Church to Baptize: What the Bible Says about Infant Baptism. Grand Rapids: Brazos Press, 2018. 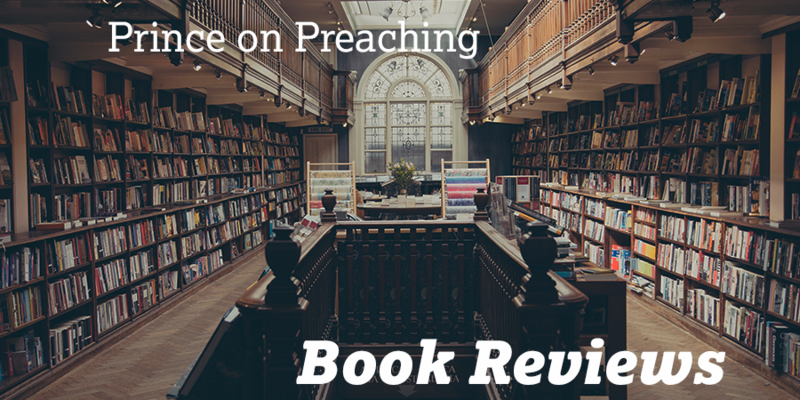 Note: A review copy of the book was provided to the Prince on Preaching blog in exchange for an honest review. The electronic review copy did not include page numbers. I am a Baptist. More specifically, I am a convicted Southern Baptist who affirms credobaptism (believer’s baptism). However, when I was a college student wrestling through various aspects of Christian theology, I tried to become a Presbyterian. Many of my theological commitments are shared by my Presbyterian brothers and sisters, but at the end of the day, I was not convinced of paedobaptism (infant/child baptism). The paedobaptist argument that baptism, a sign of the new covenant, is for the young children of Christian parents in the same way circumcision, the sign of the Abrahamic covenant, was for all infant Israelite males and the argument that household baptisms in the New Testament assume unbelieving children were baptized did not hold weight to the reality that the newness of the new covenant is new hearts and spirits of faith and obedience to the LORD for covenant members worthy of the baptismal covenant sign (see Deut. 30; Jer. 31; Ezek. 11, 36) or to the reality that baptism is reserved for repentant believers in Christ throughout the New Testament (ex. Matt. 28:18-20; Acts 2:37-41, 8:12, 8:26-40, 10:9-11:18) or to the reality that household baptisms could just as well mean all in the house—including children—became believers by the power of the gospel and were baptized. Yet, being convinced of credobaptism, I was still interested in reading Scot McKnight’s latest release on baptism entitled It Takes a Church to Baptize: What the Bible Says about Infant Baptism. In It Takes a Church to Baptize, McKnight provides “reasons from the Bible for infant baptism” for those “doubtful or wondering” about its Scriptural validity. McKnight begins by presenting six key words pertaining to baptism that one must understand in order to grasp his framework for baptism: family, Bible, gospel, conversion, debate, and heritage. McKnight, an Anglican, then structures his argument around an Anglican baptismal service. Through anecdotal evidence found in the practice of his Anglican church, McKnight walks the reader through the various components of an Anglican baptismal service and their significance in chapters two, three, and six. In chapters four and five, McKnight makes a defense of paedobaptism from the Bible. McKnight concludes the book by sharing his personal testimony of transitioning from a credobaptist position to a paedobaptist position. Suffice it to say that the biblical argument for paedobaptism presented was not substantially different from the summary argument referenced in my introduction. McKnight’s repeated emphasis on the continuity between the Abrahamic covenant and the new covenant, particularly with respect to the parallels between circumcision and the baptism, joined together with the assertion that New Testament household baptism necessarily means non-believing children were baptized simply does not hold weight in light of the overwhelming evidence for credobaptism found in the new covenant promises offered in the Old Testament and in the New Testament’s self-witness, as previously referenced. McKnight even honestly admits that there is “no text in the New Testament that explicitly reveals the practice of infant baptism in the apostolic church.” An implicit argument rooted in debatable texts such as Acts 16:30-31 that can just as easily imply credobaptism simply isn’t convincing to this reader. That being said, the real reason this book had appeal was because of its title: It Takes a Church to Baptize. In a culture of the hyper-individualization of everything, including baptism, many Christians neglect the fact that baptism is a corporate sign of the kingdom of Christ given to the one church who professes the one gospel under the lordship of the one Christ who unites his one body to himself by faith, the union of which the one baptism visibly reflects as a sign (Rom. 6:1-10; Eph. 4:4-6). In other words, McKnight’s emphasis on the corporate nature of baptism drew intrigue. For Anglicans, it’s the baptism of an infant into the church that serves as the starting place for the child’s family and the congregation to commit to instruct the child in the gospel until the child matures and, by God’s grace, embraces the gospel by faith. Because baptism involves congregational commitments toward discipleship, baptism is by default a communal event. For credobaptists, baptism occurs as a believer (including a believing child) publicly declares Jesus is Lord in unison with a believing church body as a result of the congregation’s prior commitment to make disciples (Matt. 28:18-20). Yet while baptism takes place post-new birth for credobaptists, one of the ways in which credobaptists can learn to rightly reflect the corporate nature of baptism from paedobaptist Anglicans is by making baptism more congregationally participatory in addition to being accountable witnesses to a profession of faith. Perhaps this might include the entire congregation stretching their hand toward the one being baptized as the person is being plunged into the water in order to symbolize the fact that it is ultimately the church who has the authority to baptize. Perhaps this might include baptismal covenant commitments for the one being baptized and for the congregation. It does take a church to baptize, and credobaptists would do well to clearly reflect this reality in tangible ways when a person is baptized. It Takes a Church to Baptize is a helpful book for those wanting to learn about the Anglican understanding of baptism. The book does contain a few insights for practically displaying the corporate nature of baptism, which is beneficial; however, the book ultimately errs in its theology of baptism. It does take a church to baptize. Oh that credobaptists would be more faithful to reflect the corporate nature of baptism in our baptismal services.